Summer Like a Rock Star - Enter to WIN! 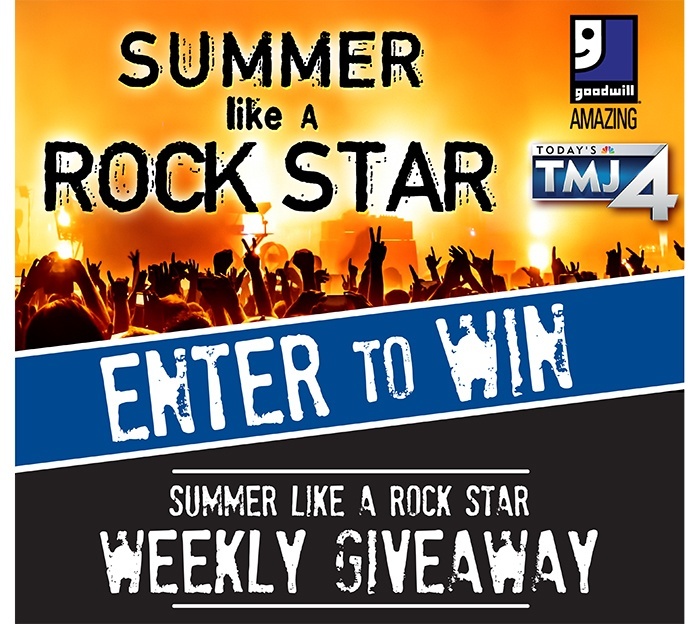 Enter the WEEKLY SUMMER LIKE A ROCK STAR GIVEAWAY! Share one of your AMAZING Goodwill finds and register to win a "Rock Star" prize package. Winners are picked weekly! Prizes vary from Summerfest concert tickets, Green Bay Packer game tickets, Six Flags Great America admissions and more! Click the button below to learn more and enter now!